Many things can be passed down in one family through the generations, , traditions, jewelry, illnesses or even old records. But what if it’s something that no one in the family knows about it, something that’s so insidious its wrecks havoc once the matriarch of the family dies, something that is passed down that nobody would ever dare want? It all starts with a funeral. Ellen has died, the head of the family, she has left behind secrets and a life lived that was filled with privacy and domineering control. Ellen lived in a house out in the woods with other family members, her daughter Annie (Toni Collette) an artist who builds dioramas for a living, Annie’s older husband Steve (Gabriel Byrne), their daughter Charlie (Milly Shapiro) who lives in a world of her own whilst making weird mouth noises, and their teenage son Peter (Alex Wolff) who likes smoking weed and fantasizing about the girl in class who sits in front of him. 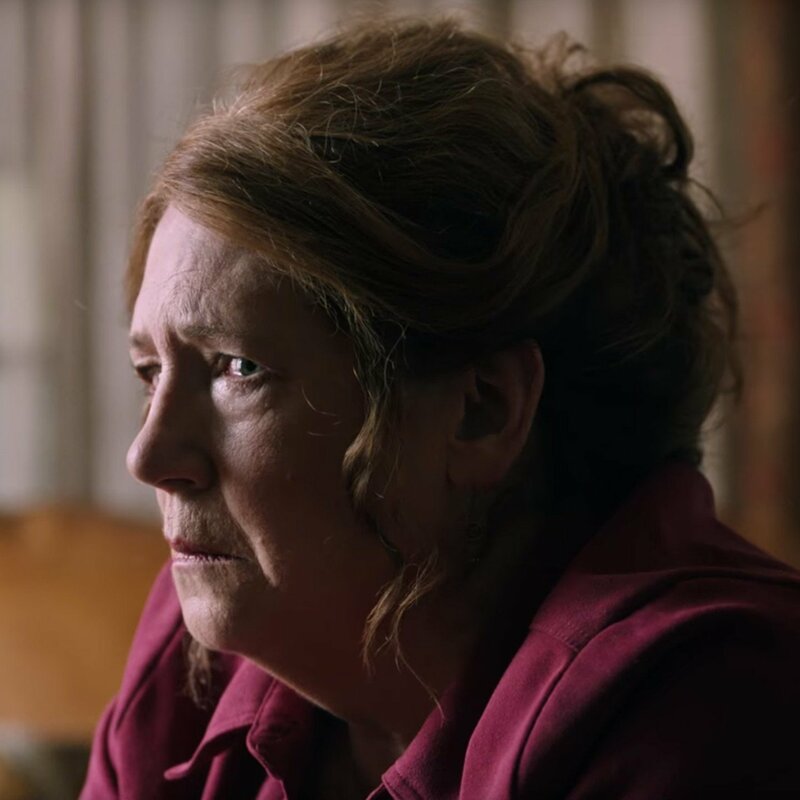 As the film develops we find out the legacy Ellen has left behind as Annie slowly begins to understand what her mother has been involved in throughout her life. Lets just say it’s not exactly lawn bowls and neighborhood watch meetings. Don’t think of this as a conventional horror movie. Writer/Director Ari Aster has taken a page out of the ‘Exorcist’ playbook with a tinge of the Occult. However, that’s not the overriding aspect, there is a lot of psychological family dynamics at play, none of it good. At times it’s a slow burner but it is chilling, I got my fair share. The house also plays a role here, its creaky, and its old and perfectly set up to bring an atmosphere of dread, which flows menacingly through the movie. 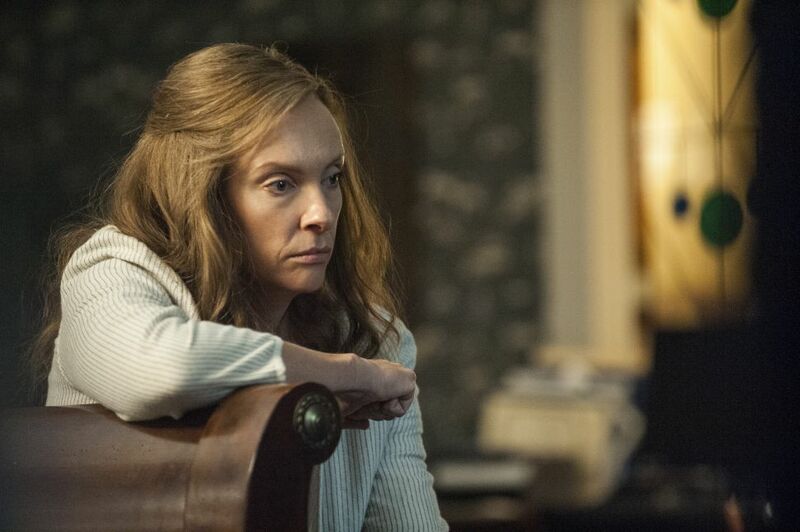 Eventually Annie seeks out a grief support group where she meets Joan (The Handmaid’s Tale Anne Dowd) who wants to help, by this stage Annie is desperate and will do anything to navigate this mess. 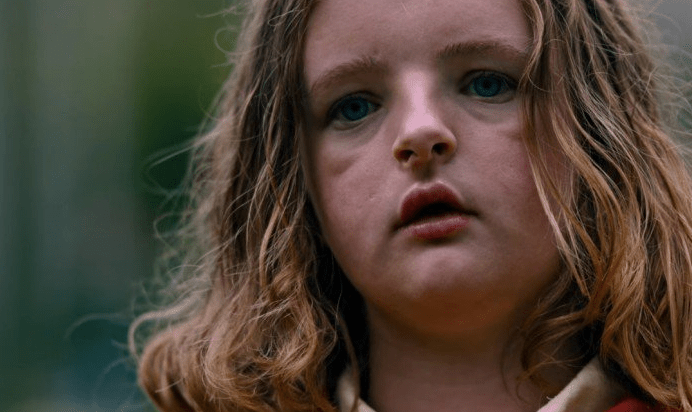 The casting of Charlie (Milly Shapiro) is brilliant, she gave me the “heeby jeebys”, she had that look and presence that just freaked me out, as always Toni Collette just nails it, every emotion under the sun and believability, which goes a long way in a horror movie. 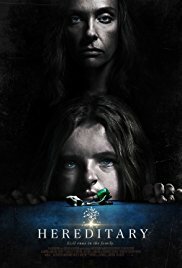 This isn’t for everyone, if you didn’t like ‘The Exorcist’ or movies about possession or the black magic then stay away from this but if you are a horror buff then ‘Hereditary’ was made for you.